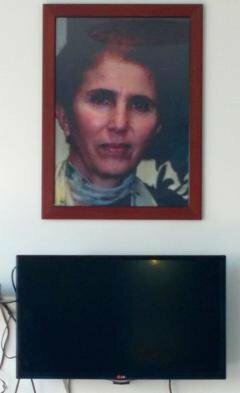 On day three of my trip to Rojava, Nuvin and Essam from the media centre take me to the offices of Kongira Star, the umbrella organisation for women, based in Qamişlo, capital city of Rojava. 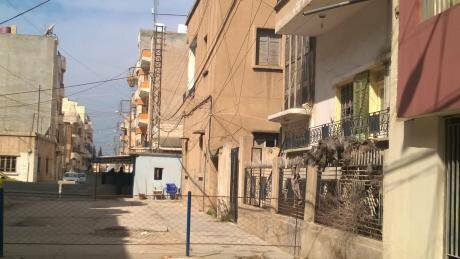 Like all the other cities, Qamişlo, is painted in the colours of a palette made from sand as it responds to the changing light of the sun travelling across the sky. It stands in dusty contrast to the fresh green of cultivated fields and the turquoise of the sky. I am told that by May, when the rains have gone, the green too will turn to khaki. We are stopped by a woman asayish (police officer) on the way, she looks frantically and nervously around the seven seater car. 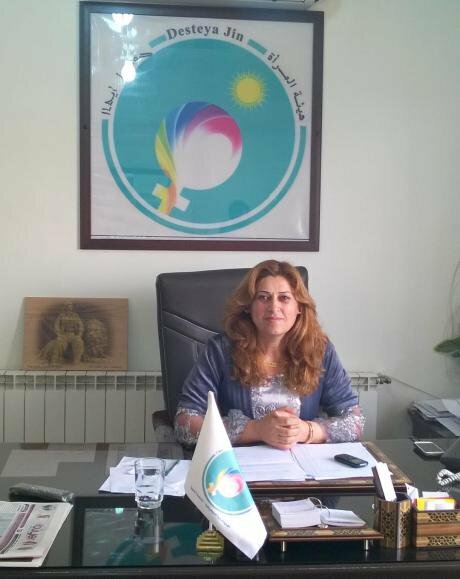 The asayish is made up equally of men and women but there is a separate women-only asayish force which polices sexual and domestic violence against women. Apparently they have information that an ISIS woman suicide bomber is expected in Qamişlo that day. 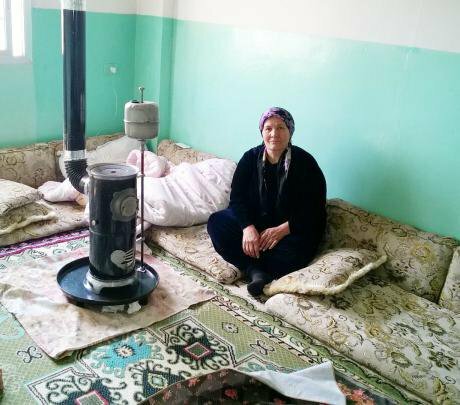 I later find out from my interpreter that these “friends” are really PKK (Kurdistan Workers’ Party) “comrades”, both men and women, who used to go from house to house, spend one night in each home, in order to raise awareness of their ideas in the general population. We have a lot to learn from this immersive strategy. Perhaps it owes something to the nomadic tradition of the Kurdish people. 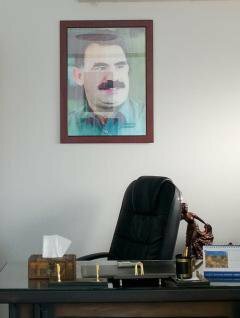 Abdullah Öcalan portrait. Photo: Rahila GuptaWhatever its origins, it is a tradition that Kongira Star continues by moving guests from house to house. In the ten days that I was there, the act of packing and repacking every day led to me being parted from my phone, my tablet, my camera, my notebook – all of which I was re-united with once I had retraced my steps.